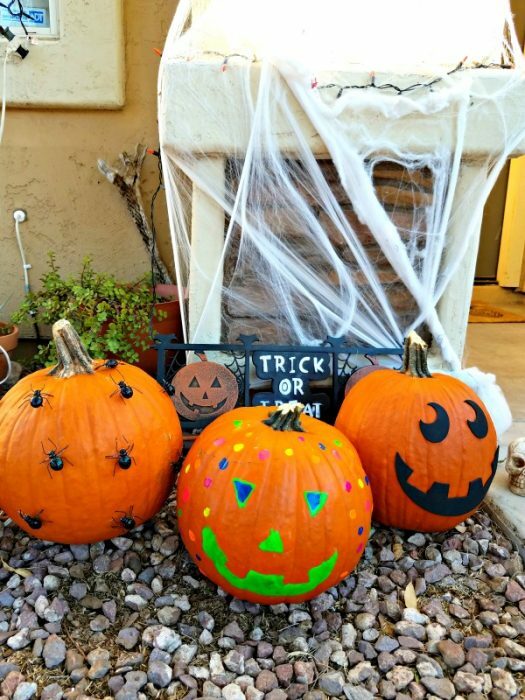 Looking for some Pumpkin ideas that you don’t have to carve? I’ve got a few ideas for you! Use foam cutouts like these stickers from OrientalTrading.com. 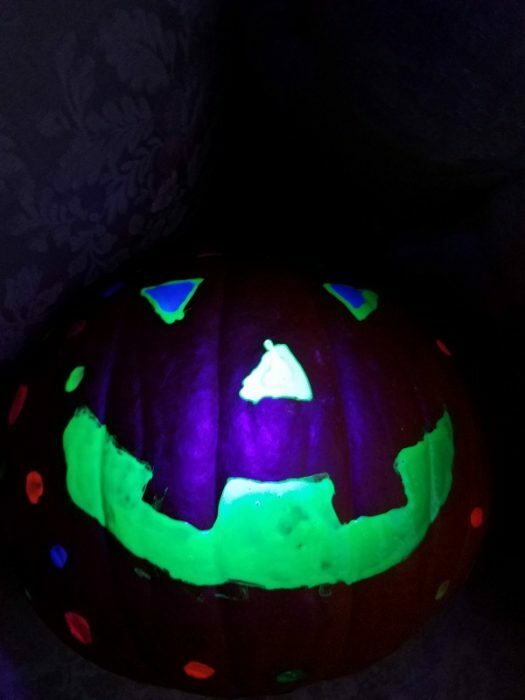 Use paint – for this one I used neon puffy paint that glows under UV light. 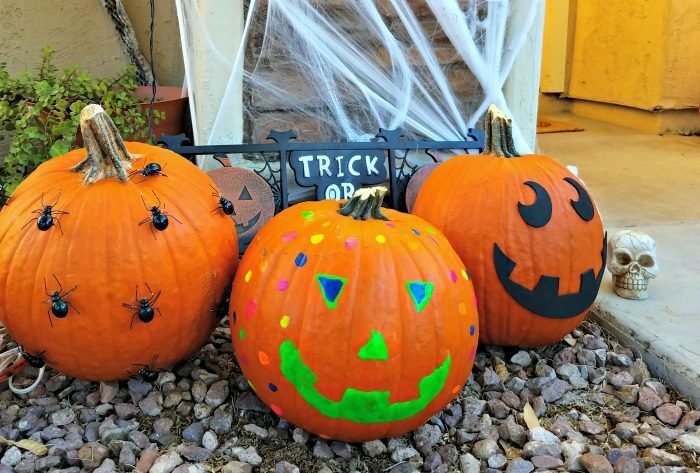 Use pumpkin decorations – I found these spiders on OrientalTrading.com. You just stick them in the pumpkin and done! Pumpkin in less than 30 seconds!